The ideal AIS receiver if you want to merge Seatalk* with AIS and GPS data. A true WiFi AIS receiver – which means you can view data (wirelessly) anywhere on your boat on your smart phone, tablet or laptop. And in addition (if required) you can connect it to all the popular NMEA chart plotters or other devices like the Simrad GO7 XSE chartplotter, Garmin GpsMap 750s or Exomap, Standard Horizon CP180i, Samyung N700). As well as NMEA routers (like the vyacht) and RS-422 routers. AIS for small-commercial, leisure, sailing, pleasure and fishing boats. 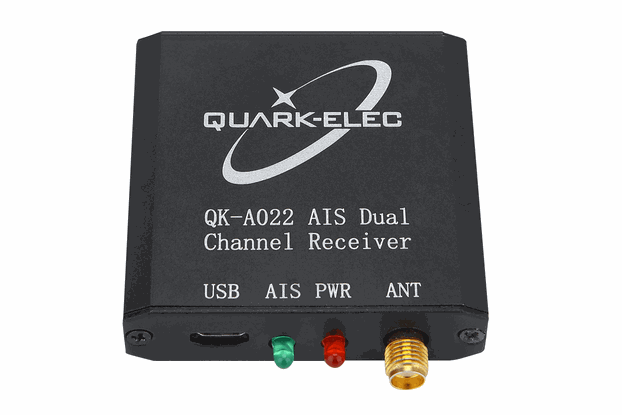 The QK-A027 is a compact dual channel, VHF AIS receiver which can merge Seatalk and receive information from both AIS frequencies simultaneously. Which means that you will get quicker & more up to date information. In addition it also includes an integrated GPS Module GPS module that can track up to 22 satellites on 66 channels, so that you will know exactly where you are in relation to other boats in your area. Ideal if you want to get WiFi on your Boat.. Integrated GPS module that can track up to 22 satellites on 66 channels. The QK-A027 is ideal for all small-commercial, leisure, sailing, pleasure and fishing boats. 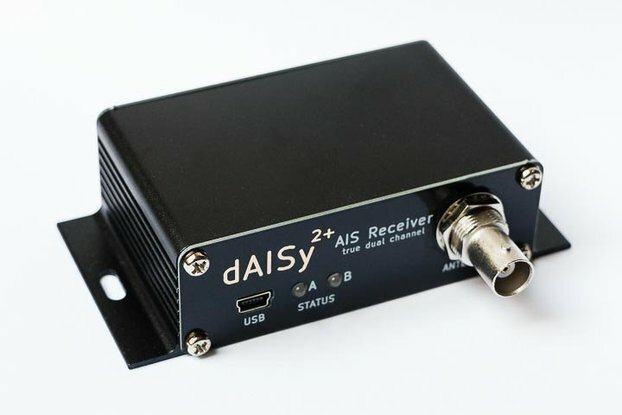 The AIS receiver can be powered by PC, Laptop, tablet & other devices with a 5.0V micro USB connector. AIS antenna connector. Standard BNC female 50 Ohm connector. An active VHF antenna splitter is required if one VHF antenna is shared by QK-A027 and VHF voice radio. GPS antenna connector. Standard SMA female 50 Ohm connector to connect with an active GPS antenna. SeaTalk input connector. The SeaTalk port has 3-Pin terminals for connection to the SeaTalk bus. Ensure the connection is correct before powering up. An incorrect connection could damage the QK-A027 and other devices on the SeaTalk Bus. 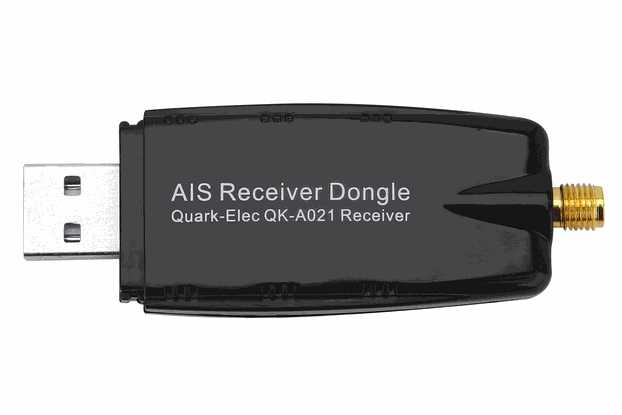 The QK-A027 runs on 12.0V DC and is powered through the Seatalk interface. This allows a much cleaner supply and a concomitant improvement in signal reception. LED lights. QK-A027 features three LEDs which indicate power, AIS and GPS status respectively. NMEA 0183 output connectors. QK-A027 can be connected to other AIS compatible equipment, like wind/depth or heading sensors, via the NMEA inputs. QK-A027 sends out NMEA 0183 messages via WiFi, USB and NMEA outputs simultaneously. USB connector. A micro USB connector outputs the NMEA messages. It can also be used for adjusting parameters using the GUI Configuration software. The A026 can be linked directly to a USB port on the PC or other mobile devices via the supplied cable. Note: This product has been thoroughly tested in the UK before dispatching to customers. Please make sure you understand how to use QK-A027 before purchasing from us. For international shipping, VAT and other import or handling fees may be applied by your local customs. These are the responsibility of the recipient. We will always declare the purchase price excl. shipping. All technical questions please email to info@quark-elec.com. Alternatively, you can visit Quark-elec forum to find your answer.